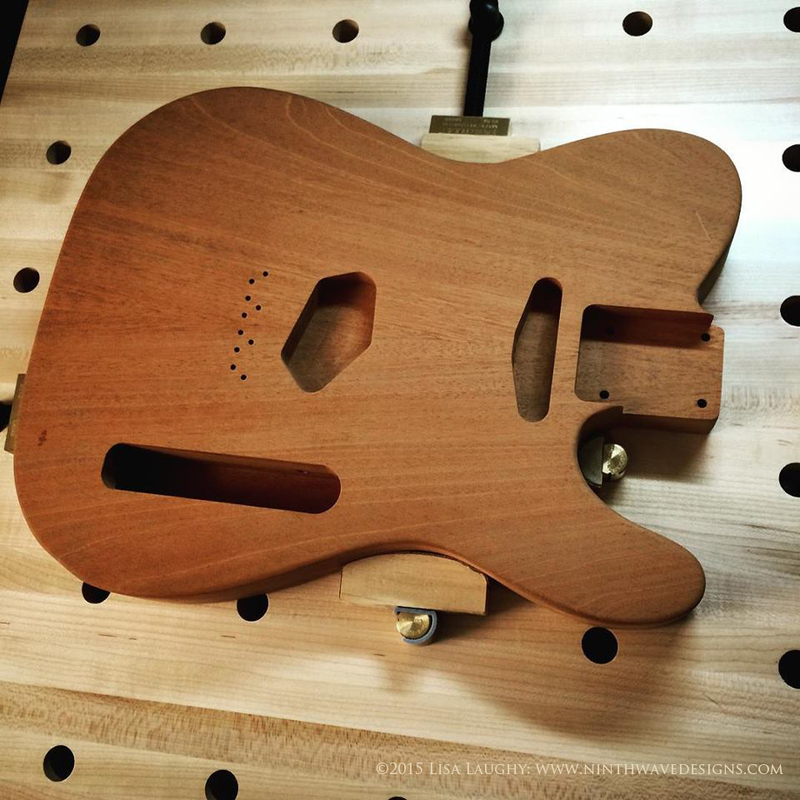 I recently started working on a new carving project that has me very excited – carving this lovely mahogany wood Tele-style guitar body shown below. I’ve had this carving blank for a little over a year now, thinking about what I could carve that would do this gorgeous piece of Honduran mahogany justice. 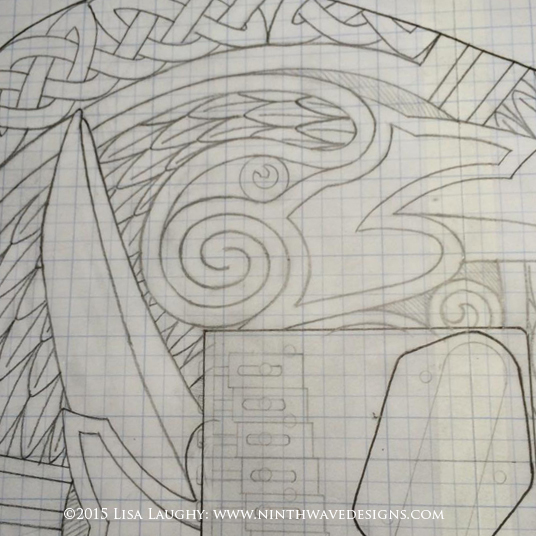 I went through a long process of sketching thumbnail drawings, of looking at what other people are doing with carved guitar bodies for inspiration, and drawing out even more ideas, before I landed on the visual concept I was after. 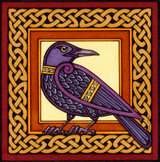 I decided to base the carving on my original Triple Raven painting, shown below. The following photograph shows the carving progress after about ten hours of work. 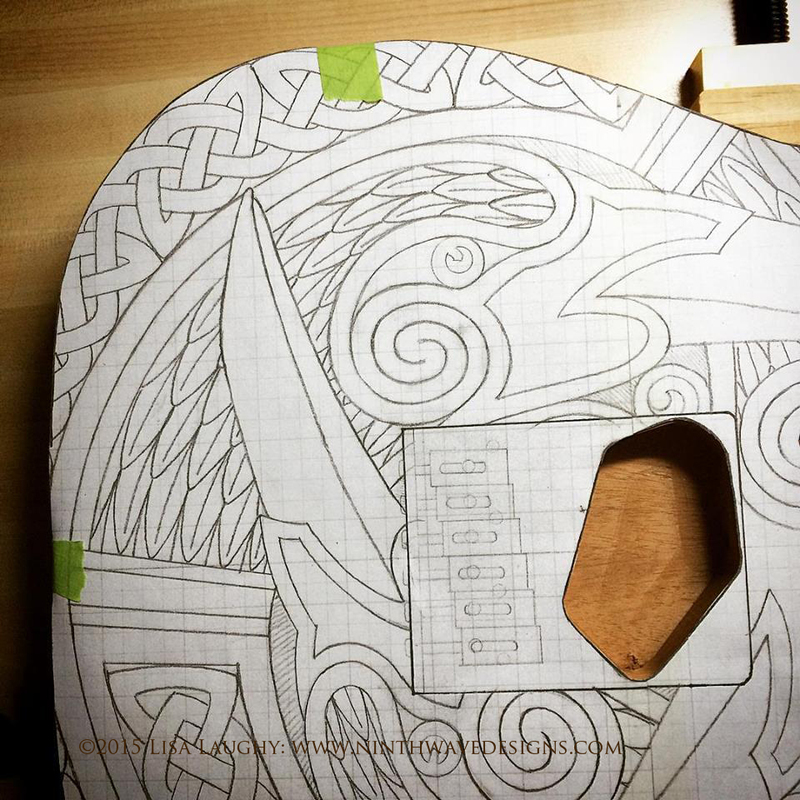 The carved areas still need a lot of refining and the rest of the design needs roughing out, but you can begin to see how the design will translate into a low relief carving on the body of the guitar. 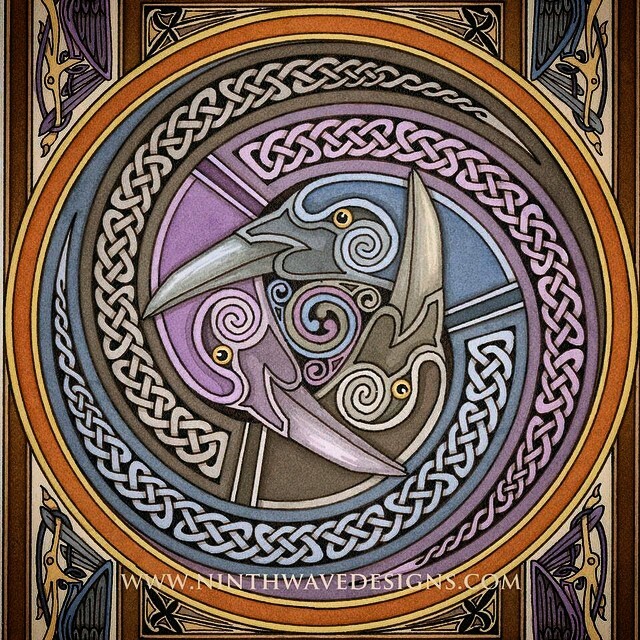 The woodcarving I do is all by hand – I don’t use any power tools during the carving process. 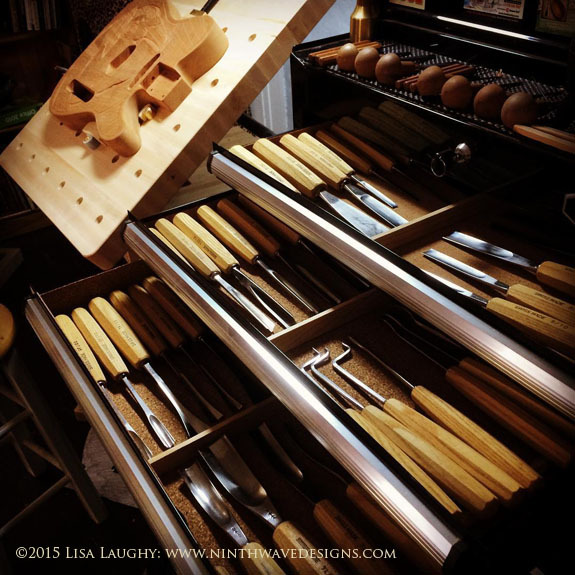 The photo below shows a selection of the tools I am using for this carving, with the carving bench in the background. 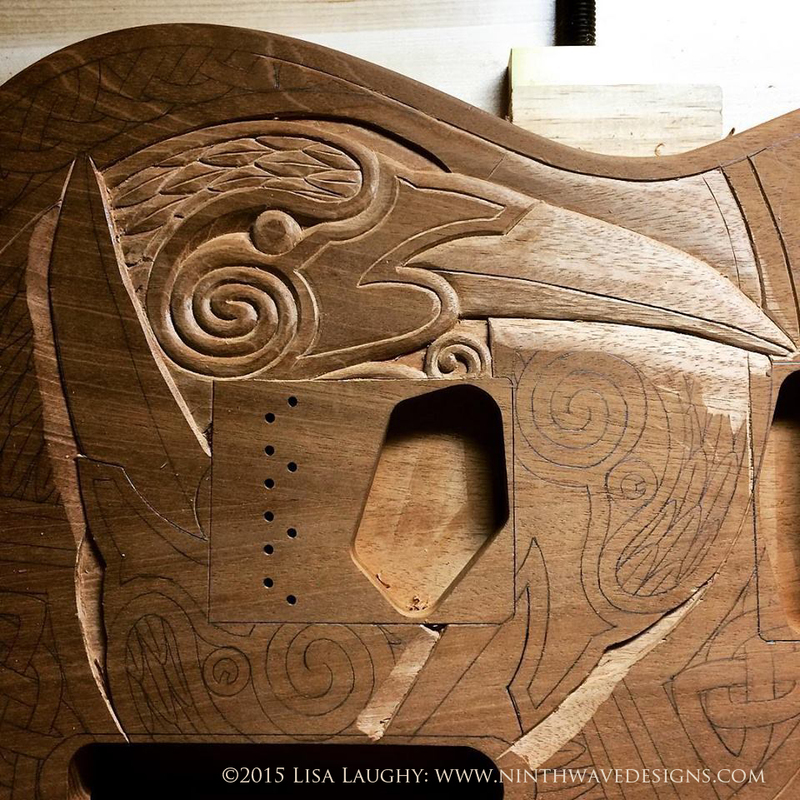 It’s a very peaceful and satisfying process – I don’t think I have ever carved a more pleasant piece of wood. 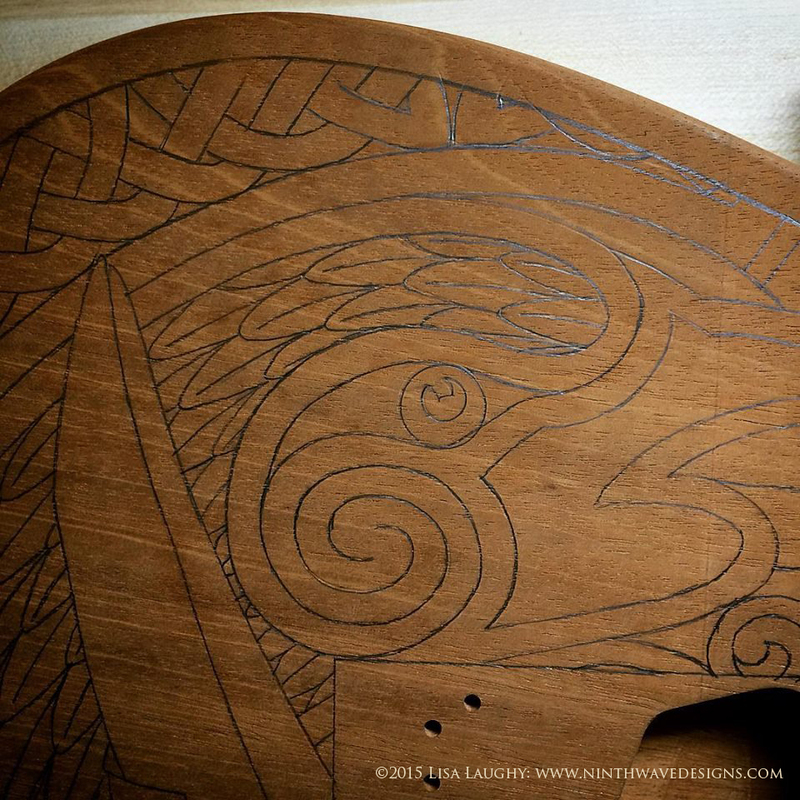 I will post more photos on the NWD blog as the carving progresses. You can also follow this project, among others, on my Instagram account HERE, or my Facebook page HERE.